Franchise Players is Entrepreneur’s Q&A interview column that puts the spotlight on franchisees. If you’re a franchisee with advice and tips to share, email ktaylor @entrepreneur.com. Six years ago, Allentown, Pennsylvania, was short on tax preparation, but to Paula Paredes, an immigrant from the Dominican Republic, it was long on opportunities. Paredes knew nothing about taxes, and hardly enough English to run a client-heavy business. 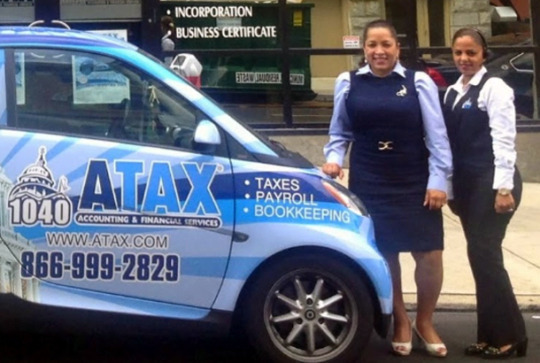 But she was undeterred, and hers became the true Independence Day entrepreneurial story: She opened an ATAX tax-prep franchise – her daughter translating by her side – brought her English up to speed and in the process realized her own personal version of the American Dream. Best of all, Paredes discovered a close ally in Raphael Alfarez, founder and CEO of ATAX and, coincidentally, a fellow immigrant from the D.R. Finally, Rafael Alvarez, the founder, CEO and president of ATAX, was extremely helpful. We’re both Dominican immigrants and relate very well to each other. In fact, my husband and daughter often refer to me as the “Rafael of Allentown,” or “Rafaela,” sometimes. In my own mind, I knew that if Rafael could do it, I could do it too. Related: Owning Your Own Business Means You Can Work Whenever You Want – As Long As It’s Every Day. Finally, keep an eye on the future, while you’re tending to today. If you want to reach your goals, you have to keep a vision clear in your mind about where you want to be and what it will take to get there. With ATAX, we have always had big dreams and now we’re looking to expand to more locations in Allentown.